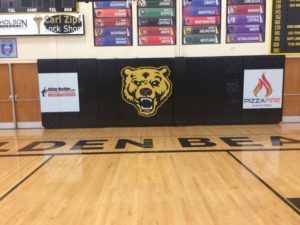 We are ecstatic to provide Upper Arlington HS (OH) with brand new wall padding! The school was eager to place the new equipment in the gym for seasons to come, and the padding looks great. Congratulations to Upper Arlington High School! 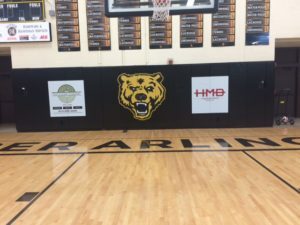 This entry was posted in News and tagged Advertising, Dayton, Eric Horstman, Flyin' to the Hoop, High School, OH, Ohio, Revenue, Revenue Generation, Revenue Sharing, Sponsorships, Sports Image, Sports Marketing, Sports Programs, Upper Arlington HS, Wall Padding. Bookmark the permalink.